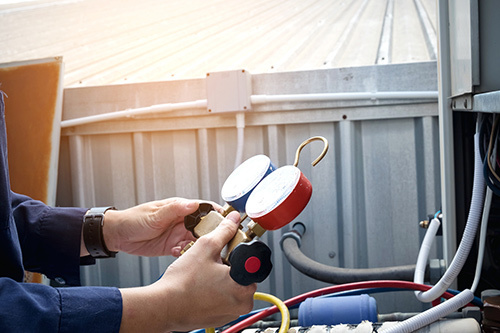 Since 2008, Aaron Frost Refrigeration and AC Repair has provided exceptional service and repair for heating, ventilation and cooling (HVAC) systems for residential and commercial customers from Mobile, AL to Tallahassee, FL and all points in between. Satisfied customers in Tampa, Fort Myers, Clearwater, Panama City, Gainesville, Orlando, Ocala, and the surrounding areas have counted on us to provide the best products, maintenance and repair with customer service that exceeds their expectations. This commitment to quality begins with high-caliber heating, cooling and indoor air quality products and extends to the expertise provided by our certified, trained technicians who are experienced in servicing and repairing residential and commercial heating and cooling systems. Our technicians are a class act. Our fully certified technicians are dedicated to serving your needs and helping you achieve the right heating and air conditioning services that are right for your home or business. They will arrive at your service area in a professional manner and treat you and your family or co-workers with the utmost respect. They will clean their feet as they come and go, making sure your home or business stays as clean as you left it. 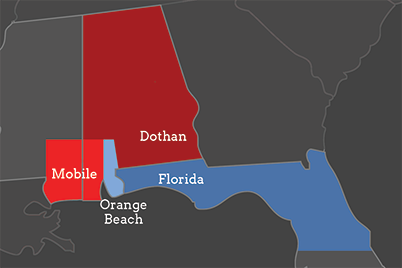 From start to finish, our experienced estimators, project managers and technicians provide the expertise to ensure your project anywhere in Mobile County is completed on time, on budget and up to code. We understand service interruptions are inconvenient and counterproductive, so we take pride in our expedient services to get you back online as soon as possible without risking security of your valuable equipment. We are also absolutely committed to safety and provide ongoing education to our personnel to ensure complete compliance with the best practices and standards. Aaron Frost Refrigeration and AC Repair evaluates the whole residence or commercial installation as a system. This enables us to address comfort, indoor air quality and high utility bills others can't, and it ensures that new high efficiency equipment performs as close as possible to its laboratory rating. For nearly a decade, we have served our customers with a commitment to service and value. Our skilled professionals are experienced and meticulous enough to get the job done right the first time using only the finest tools and materials. We know you’ll take satisfaction in our personalized service and affordable rates, but if there is anything we can do to improve your experience, please let us know. Thank you for visiting Aaron Frost Refrigeration and AC Repair. We look forward to earning your business!